The most spectacular means of measuring success. 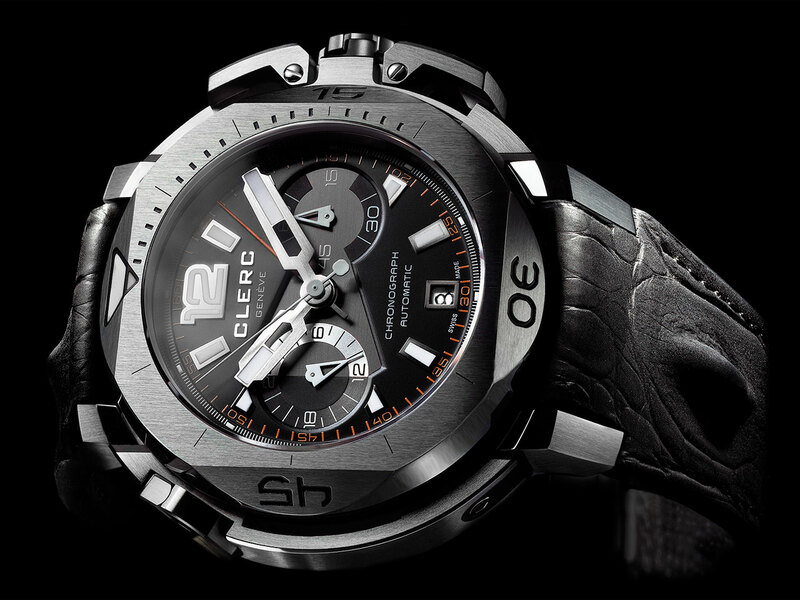 Two central hands providing an original short-time display mode: such is the exclusive solution showcased by Clerc Genève in the Hydroscaph Limited Edition Central Chronograph. The first central sweep-seconds hand indicates the chronograph seconds, while its twin shows the minutes. This innovative display ensures exceptional readability for an instrument that tolerates no aesthetic or technical compromises. A prestigious timepiece designed for short-time measurements, the Hydroscaph Limited Edition Central Chronograph is the most spectacular means of celebrating success.